The Believe In Tomorrow Children’s House By The Sea is filled with many very happy children and their families this summer. They come from hospitals throughout the country, in search of carefree days away from the daily rigors of often harsh medical treatments. At the beach, within the confines of the six condo and townhouse properties owned by Believe In Tomorrow, they often discover a world filled with laughter, and the experiences of a fun filled family vacation. 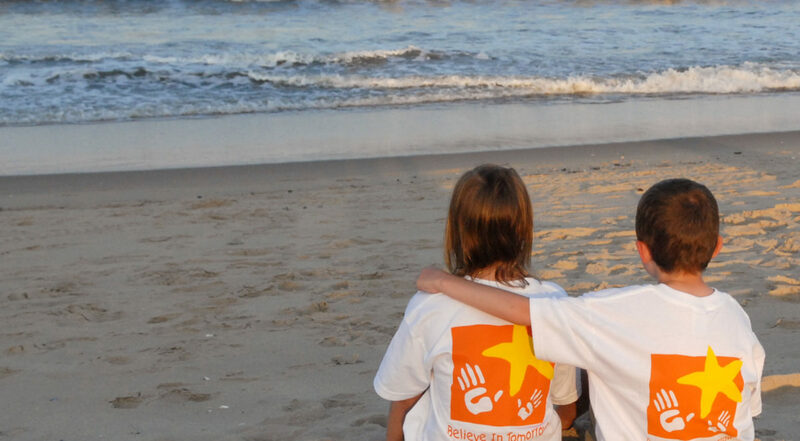 Believe In Tomorrow is credited with establishing the first pediatric respite program in the United States in Ocean City Maryland back in 1986. Since then, the Foundations pediatric respite housing program has served thousands of critically ill children, often making what parents describe as a life changing “turning point” during their child’s illness. Often, Believe In Tomorrow respite stays are the first opportunity families have to get away from the hospital, and experience the gentle cadence of normal family life. Within steps of the beach and the sound of the waves, the Children’s House by the Sea is an oasis designed with children in mind. An expansive deck, complete with a Tiki Bar for children only, allows for families to gather together in a supportive environment. During their stay participants are treated to the best the city has to offer, free of charge. From incredible meals contributed by many of the areas best restaurants, to free surf lessons, fishing trips, amusement park passes and bike and Segway rentals, the residents and business owners in Ocean City, Fenwick Island and Bethany Beach pour their hearts into a collaborative effort of support. A weekly highlight is often the Monday night BBQ, where families have a chance to meet each other and dine on an array of Eastern Shore and Ocean City delicacy’s. The Believe In Tomorrow Children’s Foundation is a Maryland based charity and national leader in the area of pediatric hospital and respite housing services. For more information on the beach respite program please visit www.believeintomorrow.org.